It is actually possible that some Christians can be laid back concerning the subject of Christ’s resurrection. Those who have grown up in the church have heard it all before. They believe it and have signed off on it on their invisible Christian doctrinal checklist. Yes, yes, Jesus has risen from the grave… now let’s talk about some exciting stuff, like Wisconsin basketball! When we view Christianity as merely a set of beliefs to hold, it is only logical to have some boredom over the resurrection. But if we go beyond this and rightly discern that following Jesus is a way of life, then Christ’s resurrection becomes vital, interesting, and wildly significant. 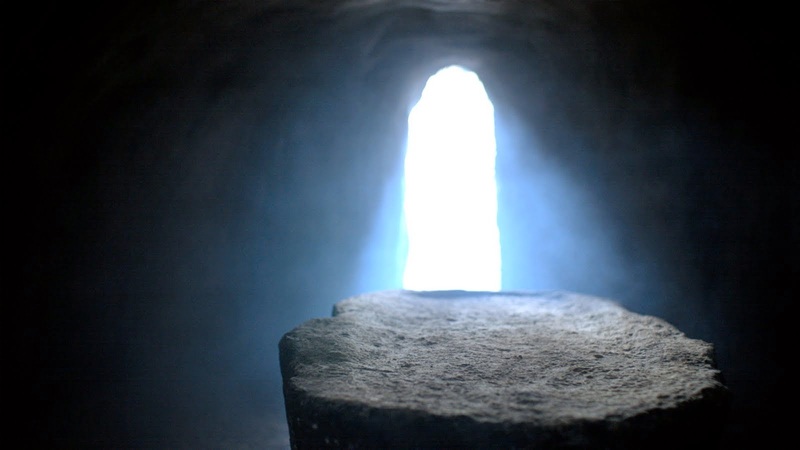 It is necessary to believe in Christ’s resurrection as a real historic event. But his rising from death was never meant to end there because God has a way of life for us to live into. God desires us to lean into that resurrection power as the foundation for glorifying him by experiencing a new changed life. Jesus had in mind to see a community of redeemed people, delivered from the power of sin and death, use their salvation to love God with all their hearts, souls, minds, and strength; to love one another in such a way that demonstrates God’s self-sacrificial love by following him together; and to love the world by talking about the events of the cross and resurrection with people wherever they go, just as naturally as we discuss collegiate basketball. It is the kind of life that cannot be achieved on our own because spiritually dead people cannot make themselves alive. It is a life based upon the power and love of Jesus Christ. God does not choose, adopt, and save based upon how lovely we are or how good we are at making ourselves attractive to him. He loves us because love is who he is – it is all about his giving us belonging as his beloved child. Timothy Paul Jones tells in his book Proof: Finding Freedom Through the Intoxicating Joy of Irresistible Grace about his adopted seven year old little girl. It was with much prayer that he and his wife decided that God really wanted them to have her become part of their family. It was not because she was a sweet child. In fact, this was actually this little girl’s second family because another family had adopted her and did not keep her because they could not handle her. She had ended up back as an orphan. After she was adopted and with the Jones’ family for a while, Dad discovered that her former family went to Disney World every year… without her. The Mom, Dad, and biological siblings would all go, but they would always leave the little girl behind with extended family. That meant the girl would have to hear all year about the memories of the family and the see the pictures without her in them. So, after learning about this, Dad decided that the next family vacation was going to be to Disney World, including the adopted girl. Jesus died and rose again, giving us the grace of forgiveness and a new life not because we were either good or attractive; he did it because we belong to him. There can be no grace without people who flip their middle fingers at God. Jesus died and rose again because of our sin; because we needed a Savior. God’s grace is a farmer paying a full day’s wages to a crew of deadbeat day laborers with only a single hour of work (Matthew 20:1-16). God’s grace is a man marrying an abandoned woman and then refusing to forsake his covenant with her when she turns out to be a whore (Hosea 1:1-3:5). God’s grace is the nonsense of a shepherd who puts ninety-nine sheep at risk just to rescue one lousy sheep that is too dumb to stay with the flock (Luke 15:1-7). God’s grace is the extreme commitment to save people from their own sinful stupidity and stubbornness by sacrificing himself on a cruel cross and rising from the dead just so people can live brand new lives full of peace, love, and joy in a new family of redeemed people with lots of siblings who love each other and want to love the lost world who still does not know what they can have in Christ. A true and real grasp of the grace of God in Christ never results in yawning or boredom; it leads to unending praise and extreme gratefulness. In the wake of Easter Sunday, the resurrection of Jesus is more than a once-a-year recognition for believers; it is to be a way of life in grasping the power of grace and belonging in Jesus. It ought to change our lives.